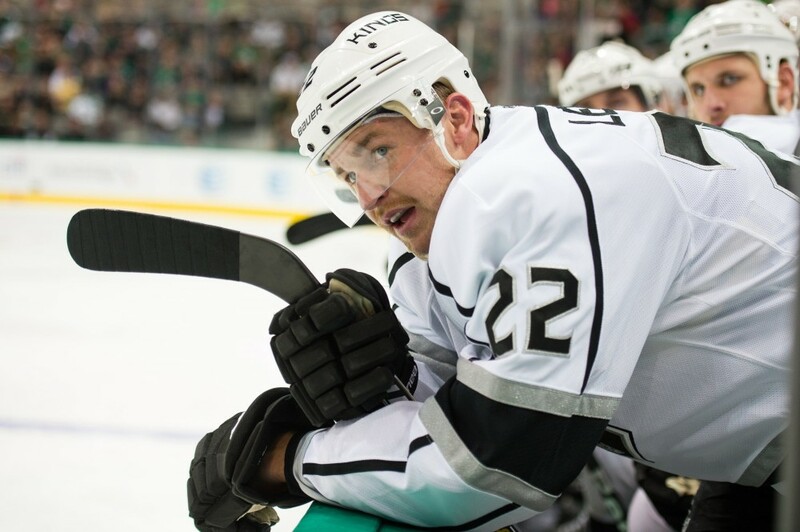 The Los Angeles Kings are 8-4-3 so far this season. Not too bad. But as always, there is a little more to the story. In this case, one does not have to dig too deep under the surface to see it. Los Angeles is 7-1-1 in the friendly confines of Staples Center, but just 1-3-2 away from Staples. In fact, the Kings did not pick up their first (and to this point, their only) road victory of the season until they beat Dallas 3-1 on November 4. They took advantage of an early six-game homestand in October, winning all of those contests, before proceeding to struggle on the road. LA then followed the 3-1 win over the Stars with a shootout loss to the rising New York Islanders, and then Saturday’s 5-1 win over Vancouver — a game in which they dressed only five defensemen. OK, so the next game at Anaheim (10-3-3) won’t be easy, but after that, a scheduling curiosity sees the Kings playing another chunk of home games. Following Wednesday’s tilt in Anaheim (where there will certainly be a large contingent of Kings fans) against the Ducks, the Kings play another four in a row at home. In fact, after Wednesday’s game, seven of their next 11 games will be at Staples Center. While there will be some tough opponents during that stretch of home games (Dallas, Anaheim, Chicago, Boston), there will also be some easier ones (Florida, Carolina, Philadelphia). Of course, though, no game is “easy” in the NHL. We are speaking on relative terms here (disclaimer inclusion complete). The stretch of seven of 11 games at home does see one point where there are three straight road games against solid teams — Dallas again, Nashville, and Minnesota. This only underscores the importance of the Kings taking care of business on home ice. Why have the Kings struggled so much on the road so far this season? Under Darryl Sutter, playing at home vs. away has not mattered much. In fact, in last year’s regular season, it did not matter at all, with the Kings having identical 23-14-4 records at home and on the road. One can also think back to LA’s dominant 2012 Stanley Cup run, during which they went an astounding 10-1 away from Staples. Maybe it’s that opposing teams become more motivated to play a good home game in front of their fans when the defending champs come to town. Maybe it’s that a sudden string of games on the road after six straight at home was somewhat jarring for the Kings, and they didn’t adjust well. Maybe injuries have also played a role (although Los Angeles faced injury issues in their home games as well). Whatever the case may be, the Kings will have to reverse their road struggles as the season continues. One has to expect that they will get back to their consistent winning habits, irrespective of location, sooner or later. Getting regulars healthy and back in the lineup (such as Anze Kopitar, Marian Gaborik, and Trevor Lewis, who had a great game in Dallas on November 4) should help in that regard. Before they re-assert themselves away from Staples though, they have to take advantage of the series of upcoming home games on their schedule. As long as they continue to do that, they can afford a couple of road losses here and there as they find their way.